The oldest part of our church building was built in 1811. It is a timber frame with a single brick cladding. Over the last 200 years, the frame has badly deteriorated and is in need of extensive repair. 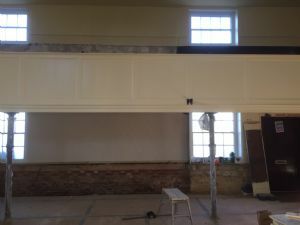 Investigative works have identified the extent of the problem, which involves replacing much of the oak sole plate and a significant amount of timbers followed by making good the interior walls and redecorating. The works are expected to cost in the region of £90,000. A vast sum for a modest rural church to find. We started fundraising in September 2017 and by September 2018, we had raised £80,000. This has been accomplished from a mixture of donations, collections and grants. In April 2018 we held a special Gift Weekend as part of our Anniversary celebrations and that raised a magnificent £8,000. We are so grateful to people for their generosity and to God for his faithfulness through this project. We are pleased to announce that the he builders began work on 24th September 2018 and hope to complete the work around the New Year. That gives us 3 months to raise the final amount needed! During this period, the Coffee Shop will remain open, with reduced seating, but the Community Meal will not be able to meet again until further notice. 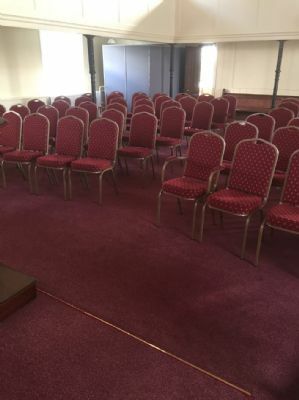 Sunday Morning services will take place in Bunwell Village Hall – you are very welcome to come along and join us there! 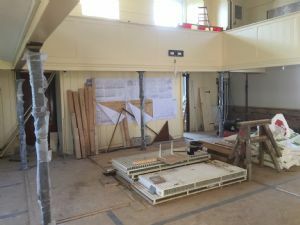 We are pleased to report that the building work at our church is progressing well. Please take a look at some photographs taken this week. This photograph was taken inside the main hall of the church looking west. 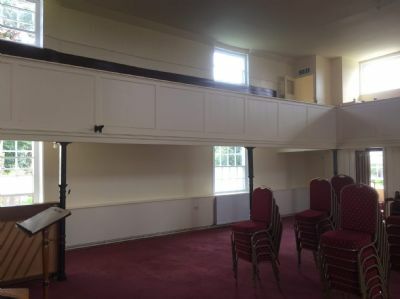 This is another image of the westerly wall of the main hall in the church. 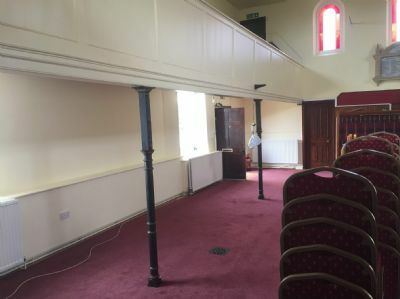 This image looks towards the back of the room and shows the balcony around the back and sides. The floor is covered in boards to protect the carpet. This last image looks towards the easterly wall in the main hall and shows the mezzanine floor. 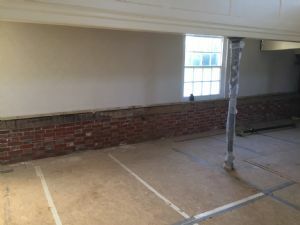 We hope that you find these photographs interesting and encouraging as the work progresses towards completion. 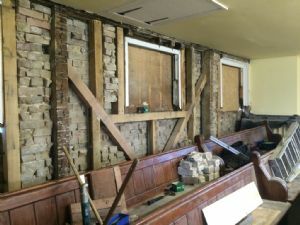 Unfortunately, the builders have discovered further problems with the timber framework of our chapel. It was found that some of the windows were allowing rain water to reach the framework, including the new timbers. So this had to be rectified, in this process it has been discovered that the framework supporting the windows has just rotted away. It now means most of the windows now need examining and remedial work undertaken. Not only will this mean further cost, but his additional work will also delay our return to the chapel. The latest estimate for our return is now Easter. We are very grateful to the architect and the builders, who are doing such an amazing and thorough job. 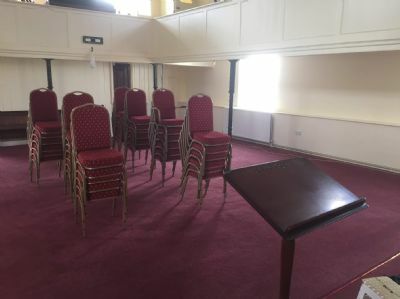 As the day approaches when we will return to our chapel at Carleton Rode Baptist Church, here are some photographs taken in April of the progress made by the builders. You'll see quite a difference from the pictures taken in February. We are so pleased with the progress that's been made and we look forward to the day we can return to our home in Carleton Rode. Why not come along and visit us in our newly restored home at the Chapel. We hope to see you soon. We are so pleased to announce that our Timber Frame repair project is now complete. 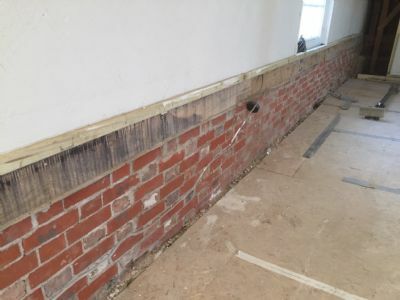 After around 12 months of planning and fundraising, the work on the walls began in September 2018. Having overcome some further problems which were encountered as the work progressed, we are finally able to use the church again. 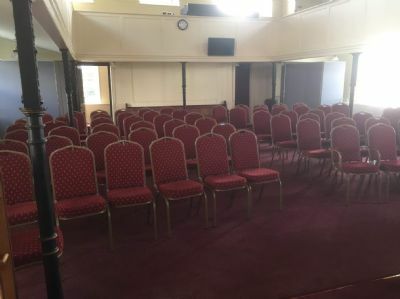 We have been so grateful to everyone for their support; members, friends, people in the local community and the wider Baptist family have all contributed in an amazing way and without their support we would not have been able to carry out the work. Thank you to you all. We also want to give thanks and praise to God for the many ways he has clearly helped and led us through this whole project. We want to mark the re-opening in special ways so we plan to hold thanksgiving celebrations to coincide with our Church Anniversary weekend on Saturday 11th and Sunday 12th May. 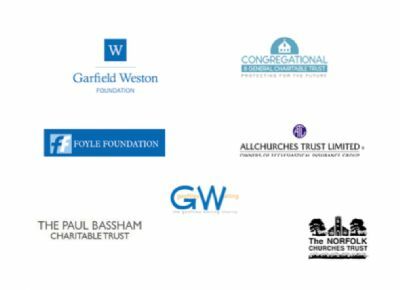 We are grateful to the following organisations for grants towards the project. Without their support we would not have been able to complete the work.